The first look poster of Veedevadu which was a guarded secret till now was finally unveiled today. 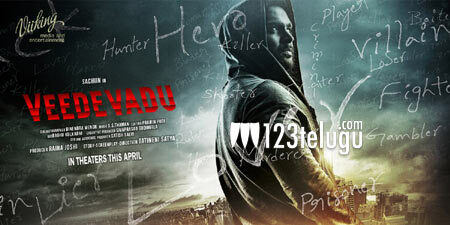 Young hero, Sachiin was showcased in a new avatar in this poster. Sachiin Joshi who acted in a couple of Telugu films is waiting for a right break over here. He is now back with Veedevadu which ie being made in Telugu and Tamil. The makers are planning to release this action thriller in April. Directed by Tatineni Satya this movie has Bollywood heroine Esha Gupta as the female lead and SS Thaman is scoring music.